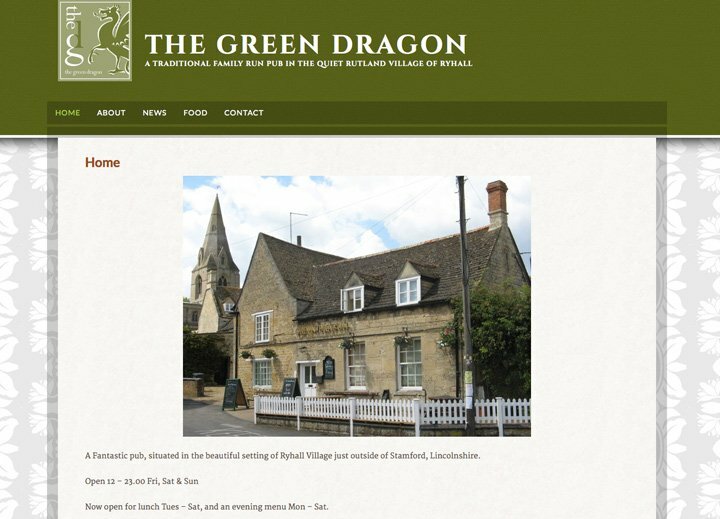 Debbie and Shaun Rolfe took over the running of our local pub The Green Dragon Ryhall and they needed to have a fresh new website for their business. Debbie wanted something stylish and easy to keep up-to date so I built her a site using Genesis and WordPress. The primary function of the site is to highlight their menu and events happening soon. 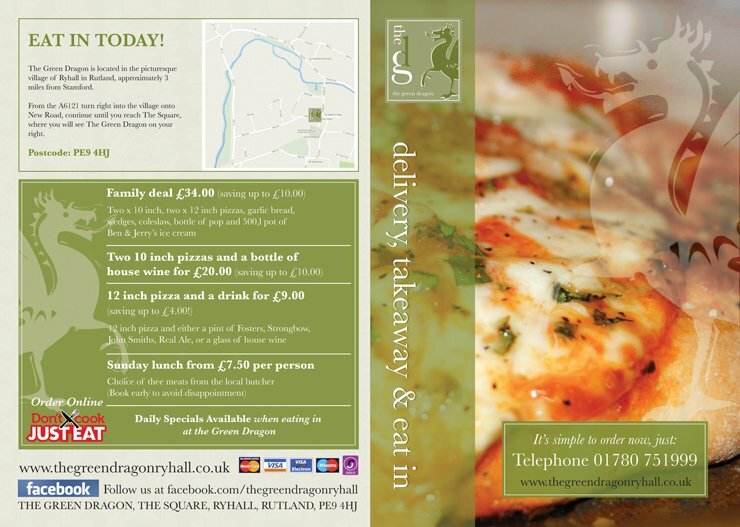 They make some lovely pizzas so the website had to help to promote these to locals. 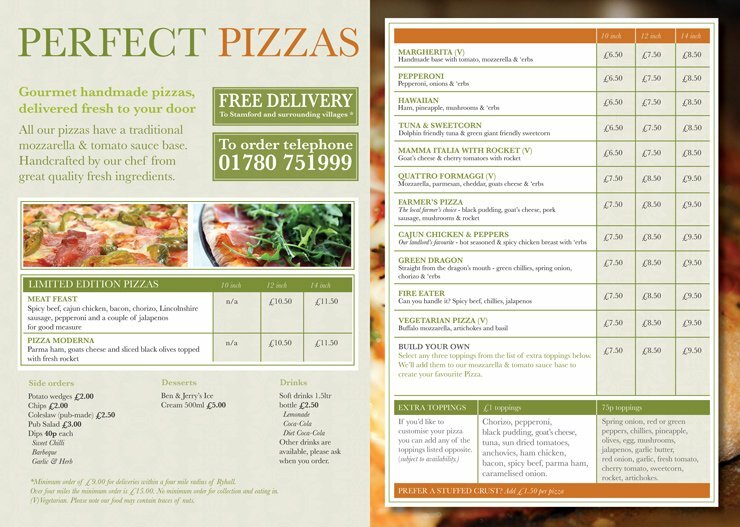 I’ve also helped with the re-design of their Pizza Menu. 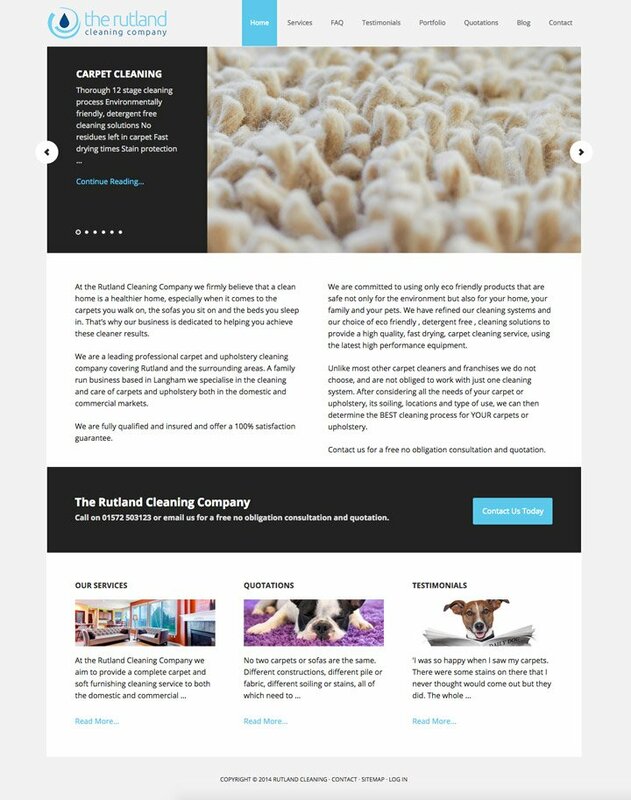 Moving from law to cleaning, David Lisserman needed a website for his new Rutland Cleaning business. After our initial meeting I laid out the basic site and over a month long period we worked together to create a site that is now bringing in lots of work for David in Rutland and the surrounding counties. David has been using his blog with very positive results. By writing blog posts after completing local jobs david has been able to rank well for many local targeted keywords. Its been a while since I posted in my portfolio section and I’m happy to report that its mainly because, for the last 8 months I’ve been busy building new sites for local businesses! 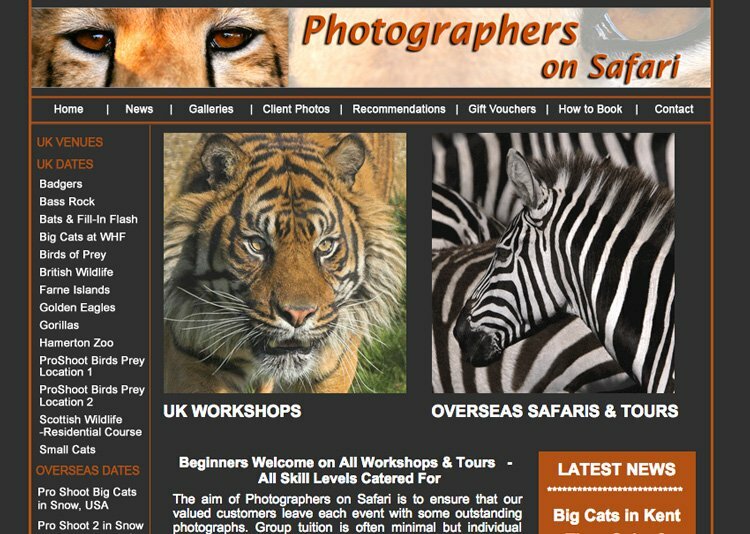 Ten months ago (as I write this) John Wright from Photographers On Safari got in touch regarding his website. He wanted it updating and making easier for him to edit, so we arranged a meeting and I went out to find out what he needed me to help with. This was what his website looked like originally before I started work with John. He said that it was basically the same as when he had started his business eight years earlier. One of the problems with his site wasn’t lack of customers though, John is massively busy and is often in random places around the world helping his customers capture amazing images of exotic animals. After our initial meeting it was clear John wanted to keep as much of the feel of his old site as possible, his customers were familiar with the colours and the layout, what was needed was just a slight facelift. Most of my work was under the bonnet so-to-speak, the design new design was to have the feel of the old site. One of the things that I had to upgrade were the 30-40 galleries that showed some of the incredible and exotic animals that you can photograph if you join John and his wife Nadine on one of their trips. We decided that the images would need to be reprocessed from the originals. Armed with a hard disk full of John’s Raw files I got to work processing all the new images through Lightroom. I have to tell you I completely loved this part of the job. Ten years ago I used to be an IT manager at a Photography Studio, so this kind of work is almost second nature to me. The new site was built as always on my favorite CMS, WordPress. I transferred over all of the older pages and old news as well as set up all of the Galleries in their new home. One of the problems I had to work out in the making of this site was how to achieve how John wanted his sidebars to work. On the old site he had images down the left and right sidebars that were from the trip talked about on each page. In the old site he was having to do this by hand and it was taking too long. I worked out a system using custom sidebars that pulled images from either random or specific galleries. This meant that John only has to set the galleries up once and it can be used in all the places its needed throughout the site. 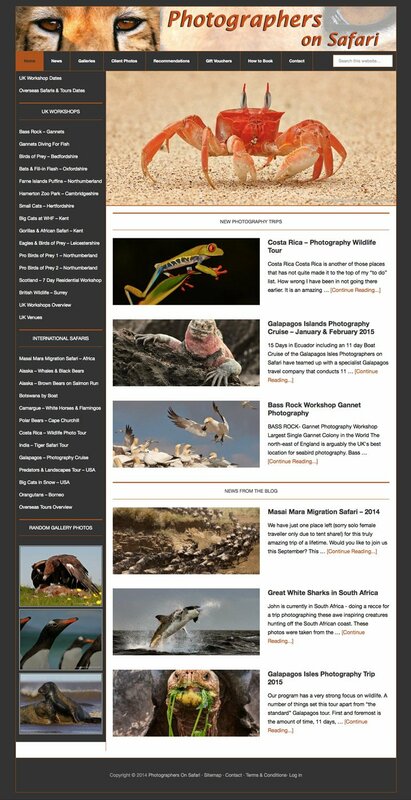 Here is the homepage of the site and you can see the whole site here www.photographersonsafari.com and make sure you check out the galleries, you will be there for hours! 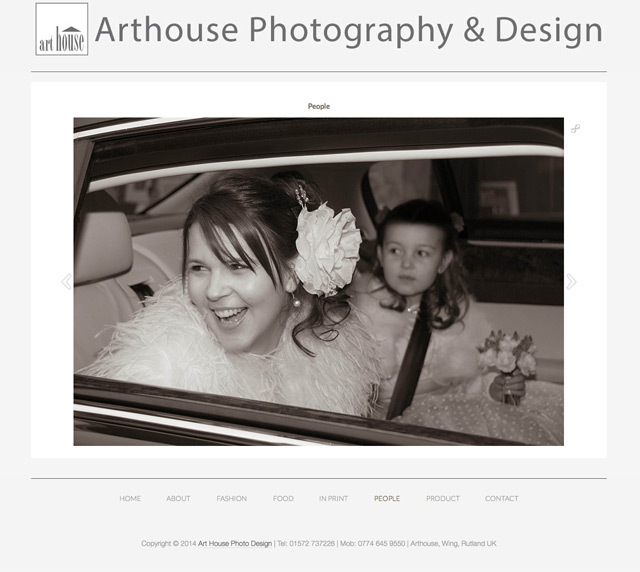 It was a real pleasure to work with John and Nadine in helping to modernise their site. I think I’ve managed to update it but still keep the feel of the old site. I really must book myself on one of their workshops and have a go myself! 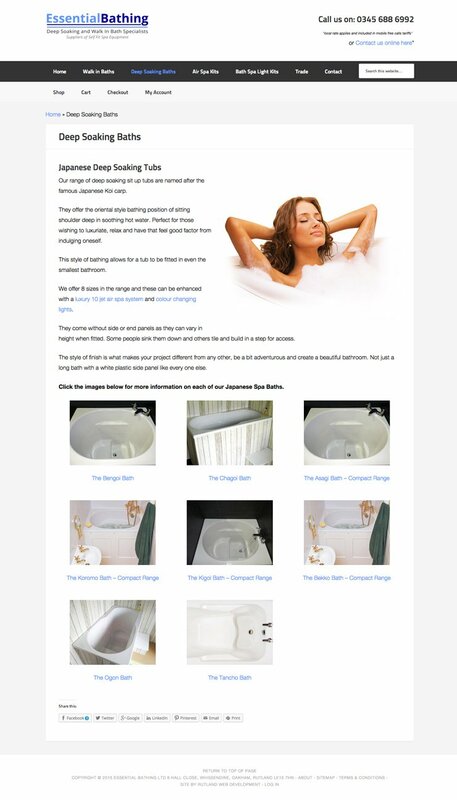 David got in touch as his site www.essentialbathing.co.uk needed updating and re-designing. After our initial meeting I started work on a redesign of his site and started to plan how I was going to help move his email and site from his previous designers servers. 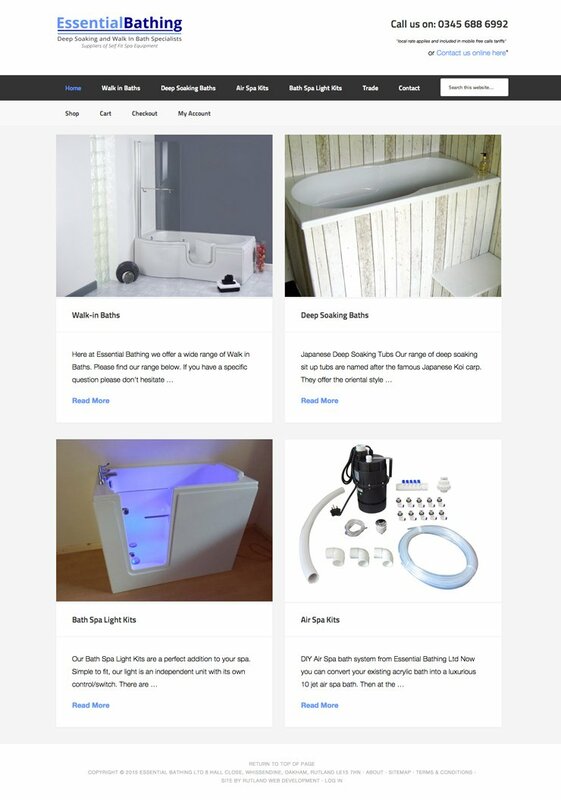 Initially we set up a site showcasing his Walk In Baths and Japanese Deep Soaking Baths with no online purchasing options, the idea being to direct customers to phone in their orders. After the site was live for a while though David decided that he wanted to expand the site and add ecommerce functionality. Adding a shop to a wordpress site was something that was new to me, so it was a bit of a learning curve, one through that I was happy to undertake as many subsequent sites have made use of the skills I learnt though setting up this site’s e-commerce functionality. I decided to use Woocommerce as the solution as it easily integrated with the Genesis/Wordpress site that I’d previously set up. After switching all the pages over to product pages, setting up the redirects, the shop was in place and making sales within a week or so. Frances Balam got in touch with me last year about helping her to set up a website for her Photographic Work. She was wanting to get back into Photography after taking time off with there young family. After our initial meeting where we talked about everything Frances wanted her website to achieve and whether wordpress was right for her. Although she didn’t want her site to have much text or be a blog, after discussing it we decided to use WordPress as the function to have a blog was there should she need it in the future. 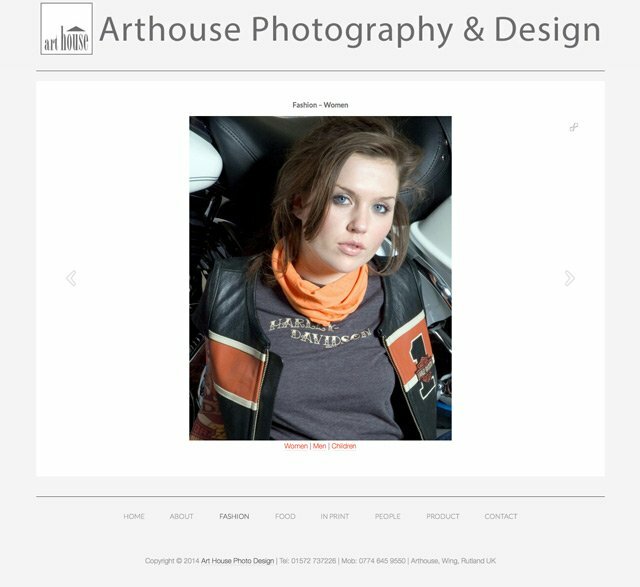 The brief was to create a portfolio type site for Frances to highlight her Photography work over the years of running her Art House Photo Design business. 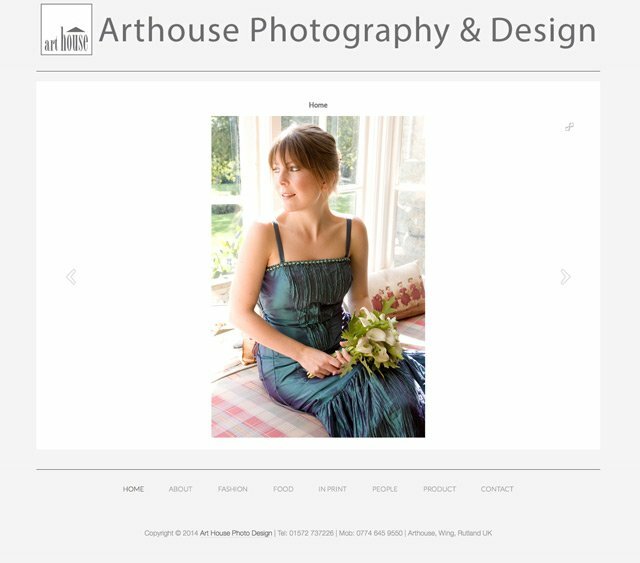 After a few initial design changes we found the solution that looked right and I spent a few weeks organising her images and loading them into the various slideshows for her site. Although the site appears quite simple on the surface, underneath it was a little more complex because I wanted to make sure it worked right in all formats on all computers and smartphones. After the site was finished I moved it over to her server and spent a few hours going through the ins and outs of the WordPress backend so she could edit and change things in the future.